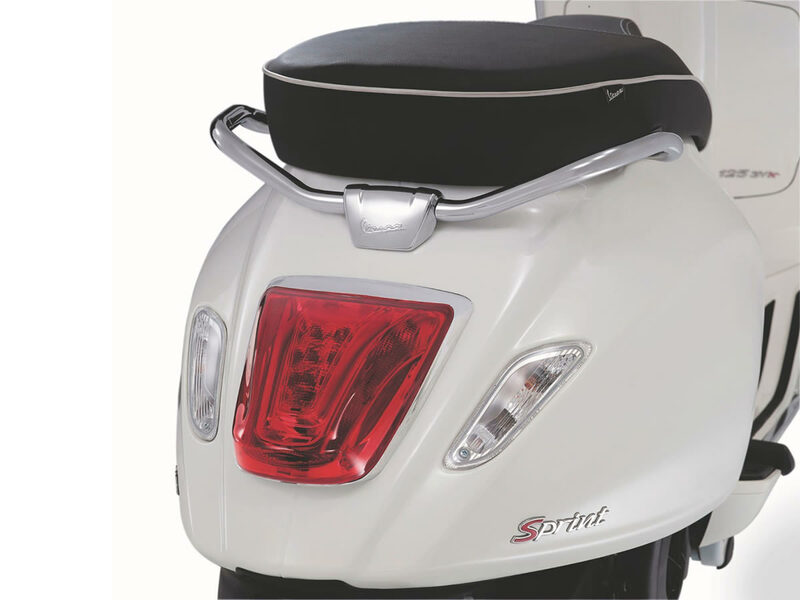 The Sprint is the most sporty and dynamic Vespa “small body” available. 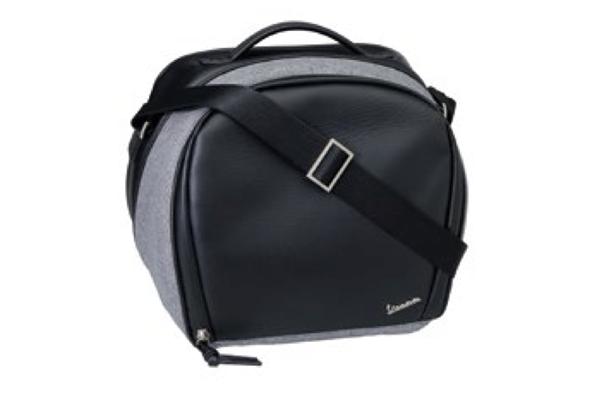 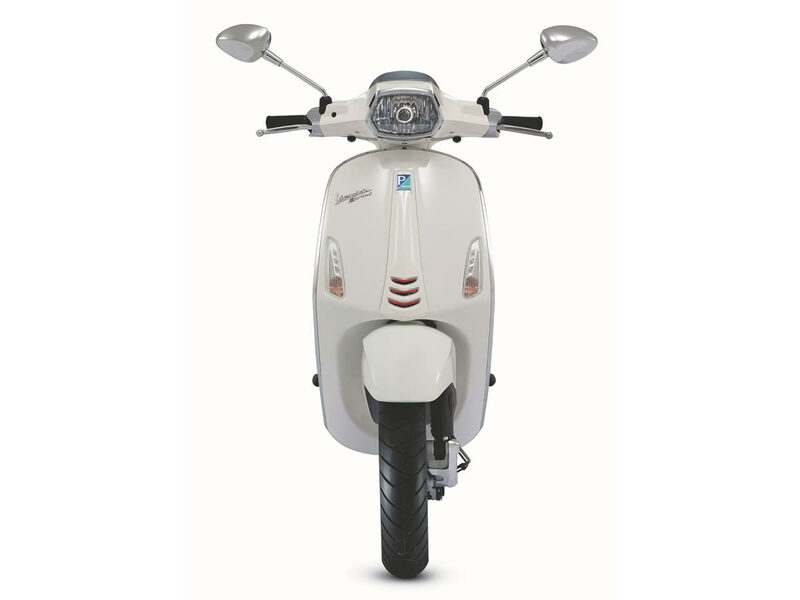 It’s name recalls concepts which are intimately tied to the sporty Vespas of the ’60s and ’70s. 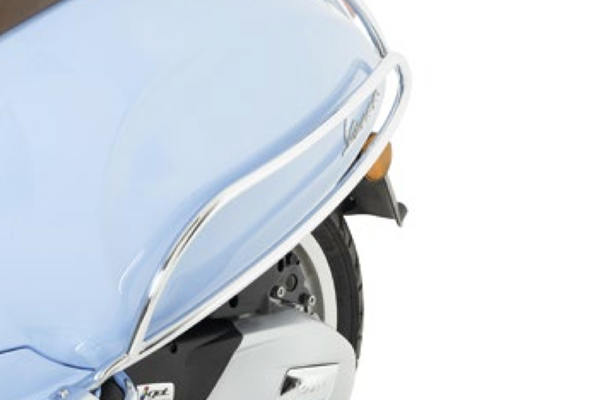 The new Vespa Sprint embodies the heritage of the fastest and most youthful Vespas, providing those same essential and indispensable elements that made it so successful with young people such as the sport design saddle and the rectangular headlight, details which the Vespa Sprint shares today. 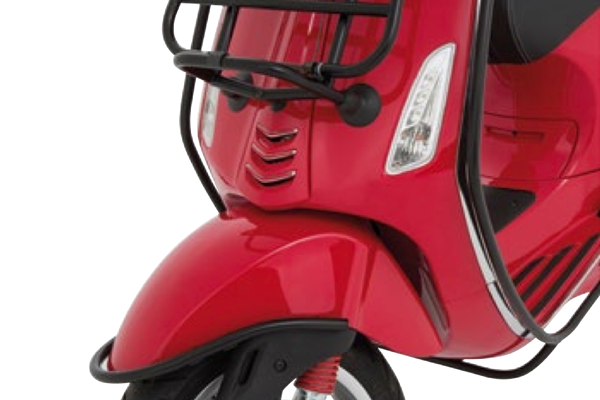 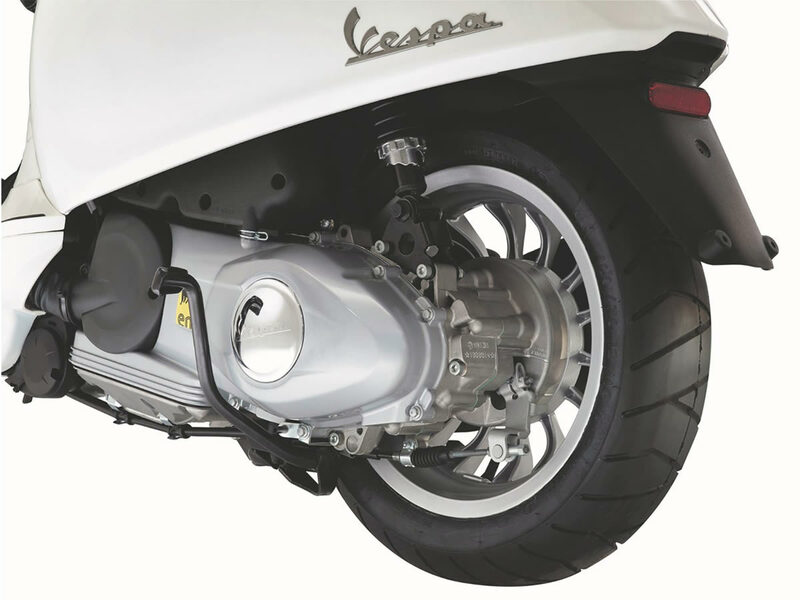 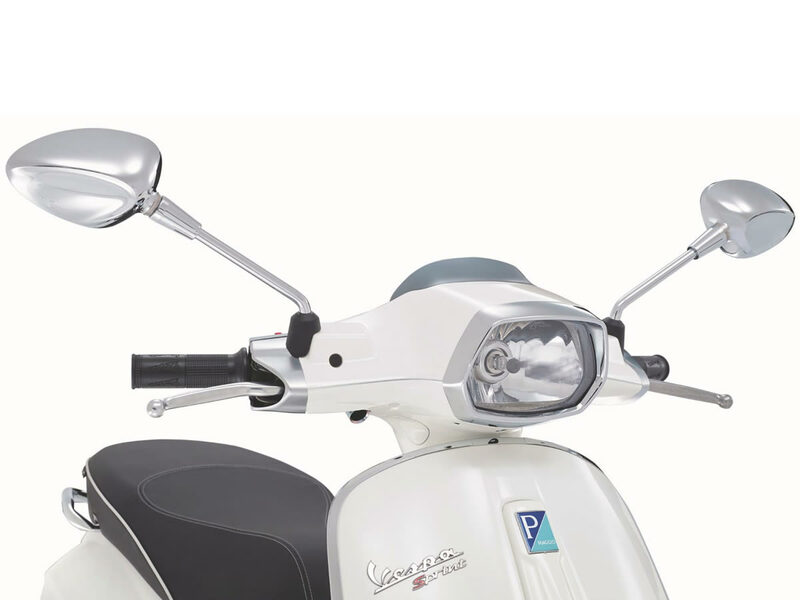 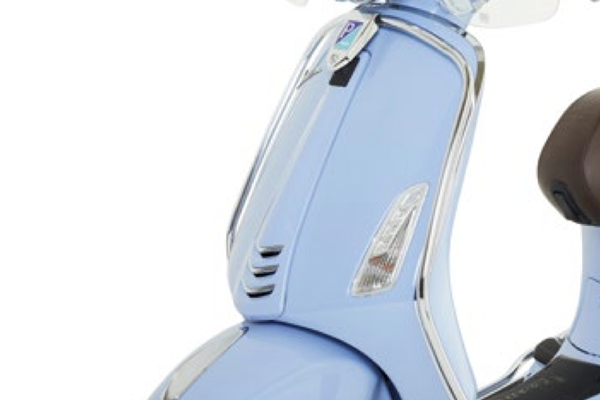 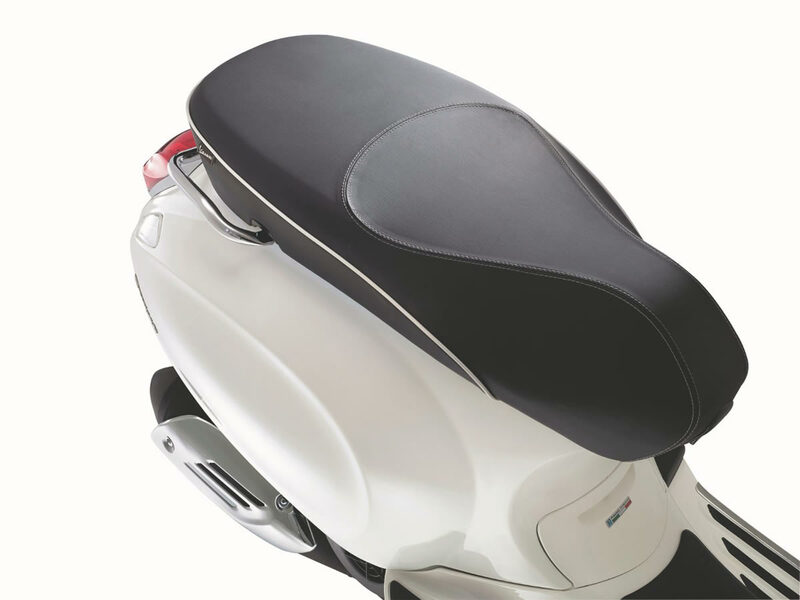 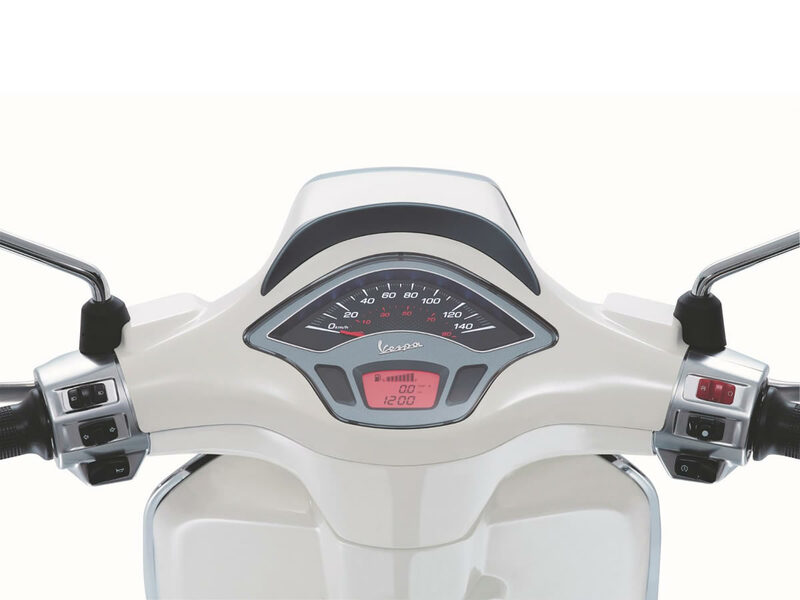 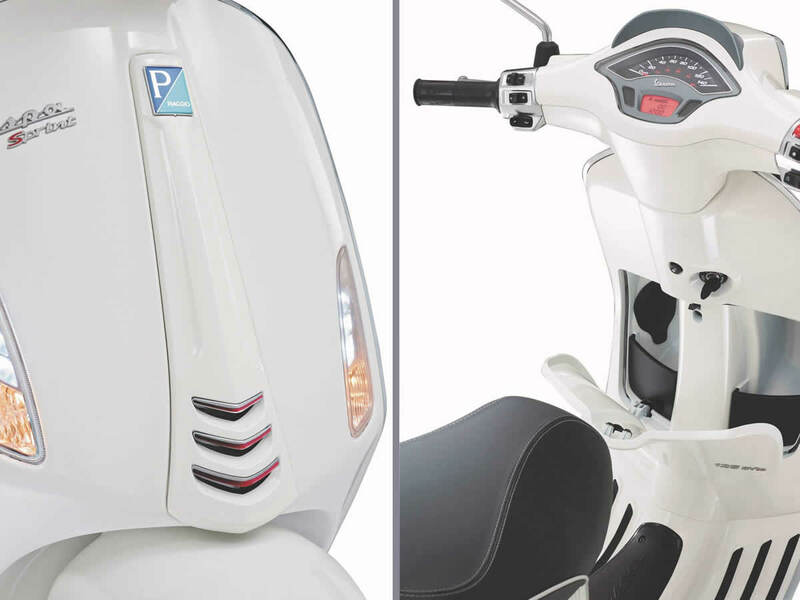 Just as the Vespa Primavera replaced the popular and widespread LX version, the Vespa Sprint replaces the Vespa S (the more sporty version of the Vespa LX), thereby continuing the Vespa tradition of using the same solid, tried and true technical base to create two significantly different models in terms of variation and target rider. 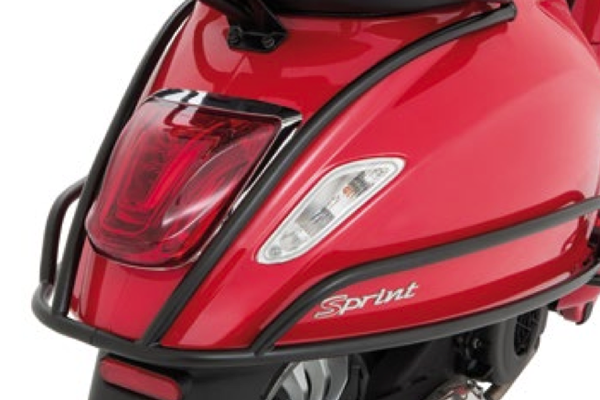 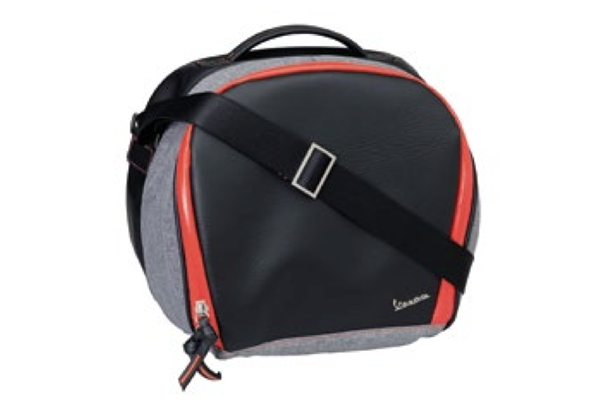 Got a question about this Vespa Sprint 125 i-get ABS Special Price Offer? 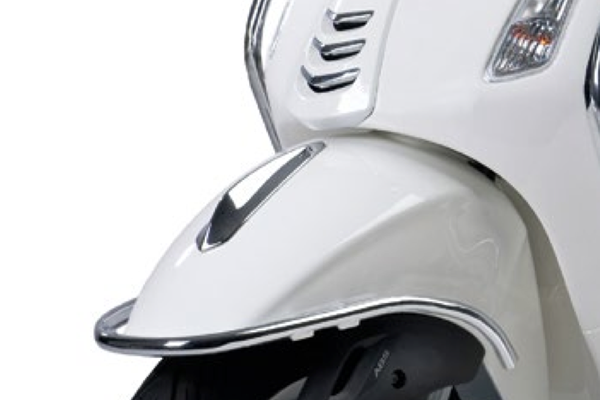 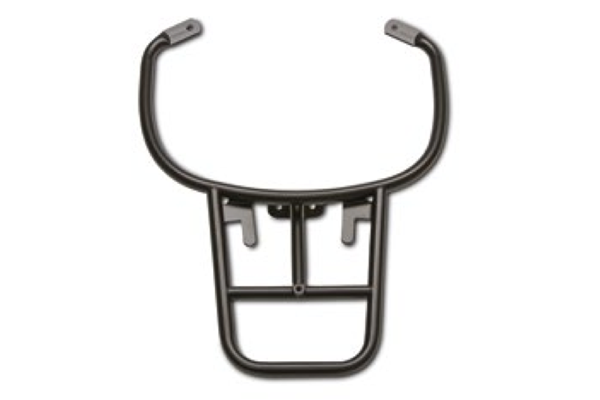 Chrome front mudguard trim with a simple but elegant design. 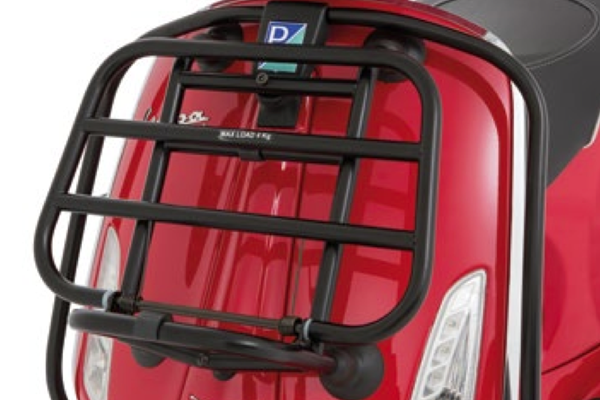 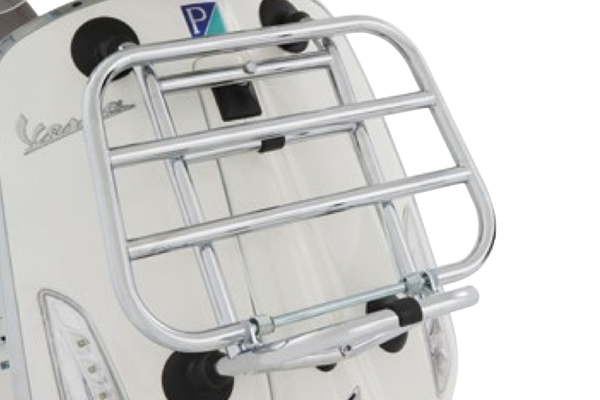 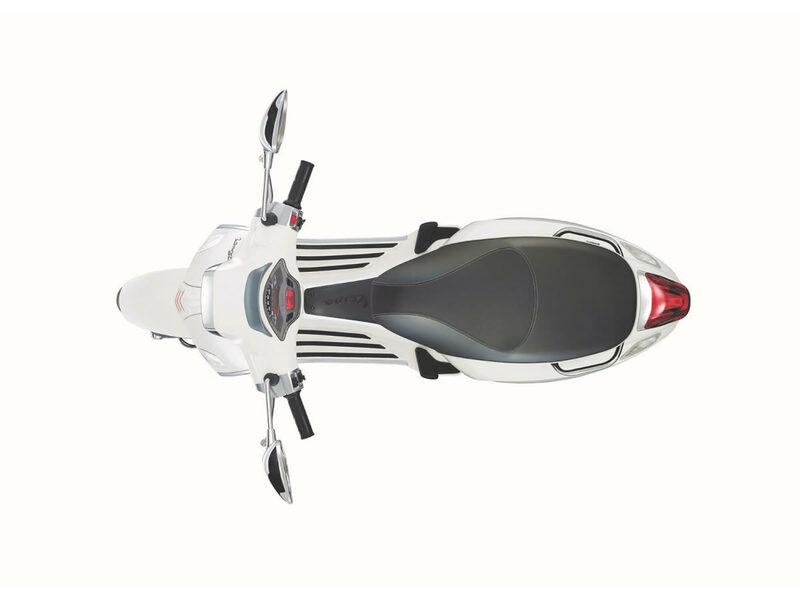 The chromed rear guard is the perfect complement for the chromed front shield guard.